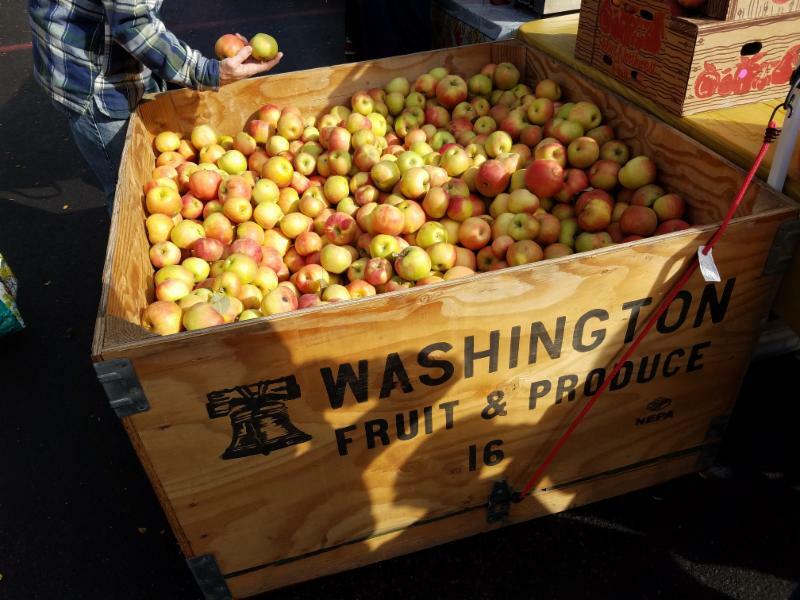 The Local Dirt: Market Hours Change this Saturday - Open 9am-1pm! Market Opens at 9am this Saturday! 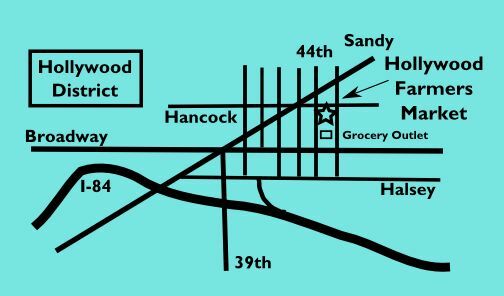 Every year in October, as the days get shorter and the mornings darker, Hollywood Farmers Market's hours change to start 1 hour later. Starting this Saturday October 6th, market will open at 9AM through the fall and winter seasons . So sleep in, make breakfast, and enjoy that extra hour at home. We know we will! It's October, and officially Autumn at the market. If you aren't quite ready to accept that yet, then load up on peaches one last time at Maryhill Fruit Company, because it's their last week of the season. Now is the time to savor the season's last tomatoes, basil, cucumbers, and berries too, because these are likely the last sightings at market until next year. 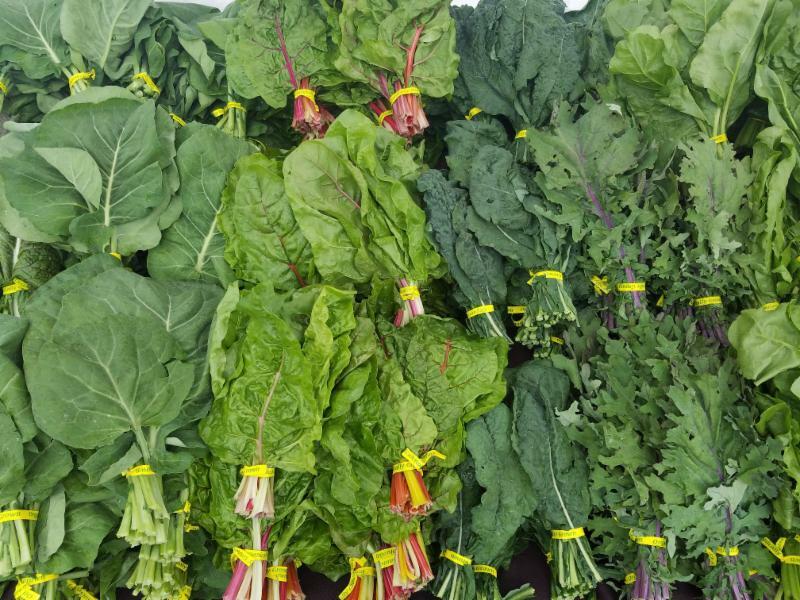 For those ready to fully embrace fall, open your arms wide to beautiful bunches of colorful kales, chards, collards, mustard greens, and more at Persephone Farm and Sweet Leaf Organic Farm. Discover the variety of roots and tubers coming out of the ground, like sweet potatoes and yams, fun fingerling and yellow Yukons potatoes, crisp and juicy kohlrabi, and colorful beets. 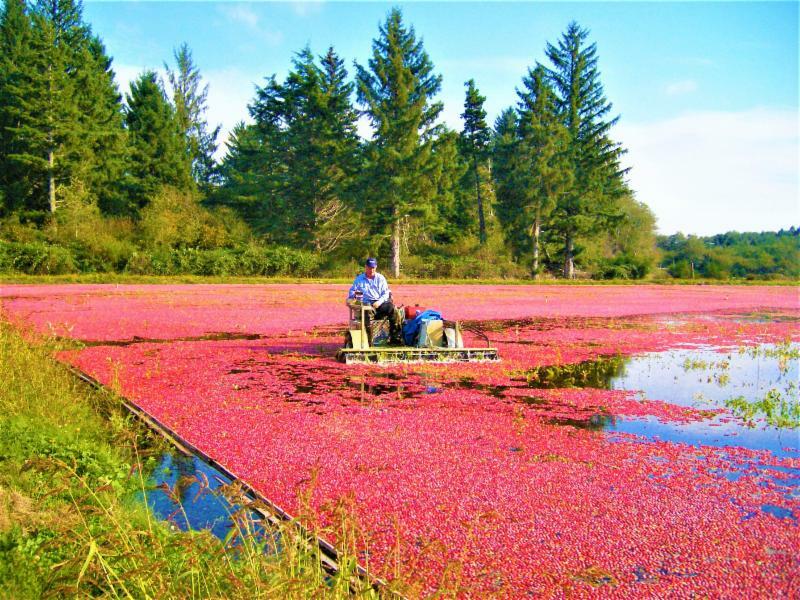 We'll be welcoming back Cranberry Kitchen, with their dried cranberry creations, as well as the season's first harvest of fresh cranberries. Got any extra shopping bags laying around? We are collecting durable, reusable shopping bags for community use at the market. If you have any extra you can part with, please leave them in the metal bins on either end of Hancock St for any forgetful shoppers to grab. If you've been thinking about joining the Hollywood Farmers Market Board, now is the time to act! The deadline for applications is this Monday, October 8, 2018. The Board will invite candidates to an interview at the October 17th board meeting, and elections will take place that evening. New members will be seated effective January 1, 2019. The application is available on our website here. Any questions about the recruitment process may be directed to board chair Kristine Abraldes at recruitment@hollywoodfarmersmarket.org . This article is part of a series, now called the “Herb of the Month”, where we explore the culinary and health benefits of herbs. Last month we got in on thyme. This month, parsley is our showcased herb. A delightful herb with more beneficial nutrients than even kale, but which is all too often swept aside as nothing more than decoration. I became interested in learning more about herbs a couple of years ago when the Portland Nursery held a summer-long series of cooking classes. We were treated to wit and wisdom from one of the Oregon Culinary Institute’s most knowledgeable teachers, a well-respected chef, and well-known gardener: Daniel Brophy. He always said that to truly know an herb, one should try it for a month in as many ways as possible - from tea to truffles. He called this practice “The herb of the month” and I hope this series helps keep his memory alive and well. According to the Huffington Post, parsley is considered to be the world's most popular herb. It derives its name from the Greek word meaning "rock celery" (parsley is a relative to celery). 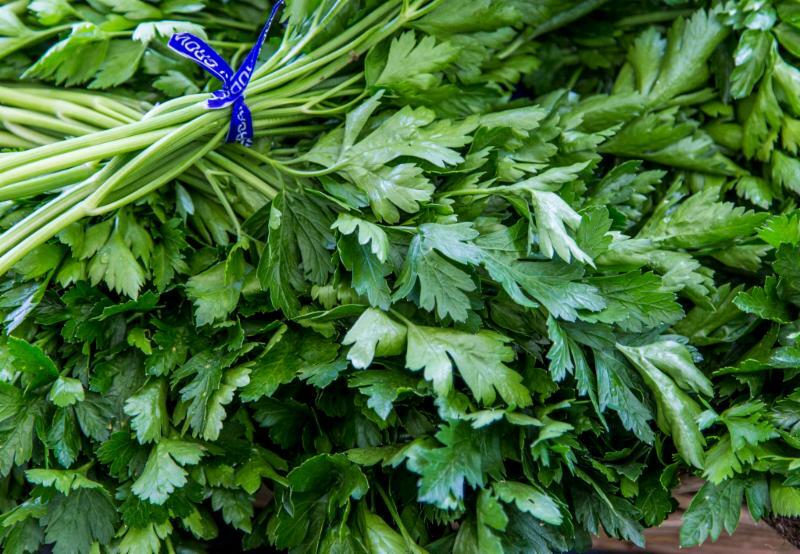 There are two dominant types of parsley, curly parsley and flat-leaf or Italian parsley. In most countries the curly leaf variety is more popular. This may have its roots in the fact that people were often reticent to consume the flat-leaf (Italian) variety because it resembled a poisonous weed called fool's parsley. A relatively new species called Turnip-rooted (or Hamburg) parsley has started gaining popularity within the past two hundred years. Wild forged from secretly held spots ranging from Mt. Adams, to Mt. Hood, to the coast range, these famous fall fungi only grace us with their presence once the first rains arrive. 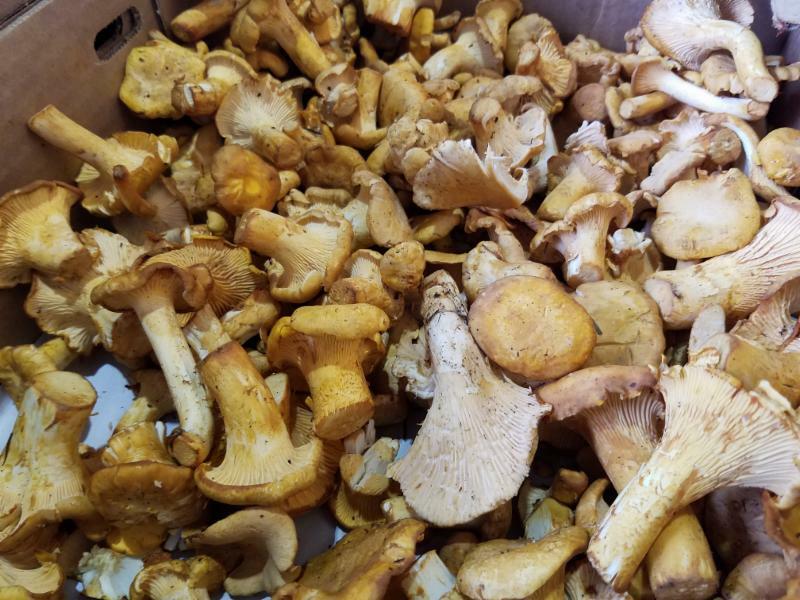 Cook up your favorite mushroom sauce, risotto, or gravy and taste what the Pacific Northwest forests have in store for you. A crop requiring love and determination, Chris and Shannon grow theirs in a hoop house to achieve a high enough ground temperature to make them grow successfully in this region. These red skinned orange fleshed jewels of flavor are only are around for a short time in the fall. Bake 'em, soup 'em, roast 'em, just don't miss 'em while they are here. Made with care by Dario and his small team, this chocolate bar is great for the Cacao purists and new to pure chocolates alike. Made with just organic cacao and organic maple syrup, and with notes of tangerine, molasses, and dried pear, you'll want to take home bar or three.